Out of all the Black Friday deals cropping everywhere, one of my favourites has to be Sigma's. This Friday they are offering FREE SHIPPING WORLDWIDE. It is an exclusive 48-hour shopping event, starting Nov 28, midnight till Nov 29, 11:59 PM CST. This may not sound so amazing to some but with their shipping charges extremely high, especially when you are purchasing only one makeup brush, you just can't miss this opportunity To avail this deal, all you have to do is enter the code BF2013 at checkout. On a purchase of $30 or more you also get a free mini E25 Blending Brush. But the excitement doesn't end here. On Cyber Monday Sigma gives 20% off on their best-selling Essential Brush Kits and some other products listed here. Use the code CM2013 at checkout. You also get a mini E05 Eye Liner Brush on a purchase of $30 or more. 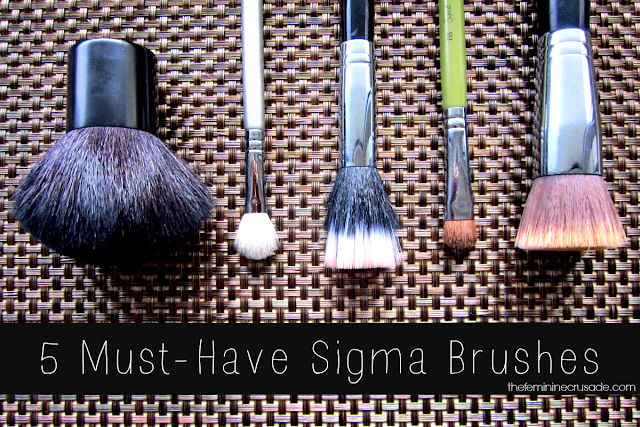 To help you in your ultimate shopping experience, I have made a list of my 5 Must-Have Sigma Brushes. If you don't own them, you need to NOW. IF you have to pick only one brush out my list, then this it ladies. This cult-favourite brush is fabulous when it comes to any foundation application. I just cannot imagine my life without it. 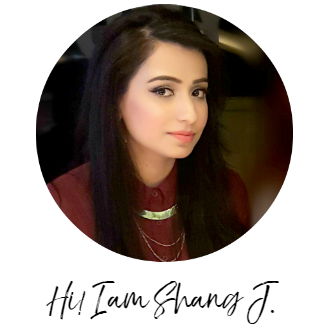 It gives flawless, smooth finish to my foundation, helps me blend in my under eye concealer, is SUPER soft, densely packed and does not shed. I have had it for over two years now, this same brush. 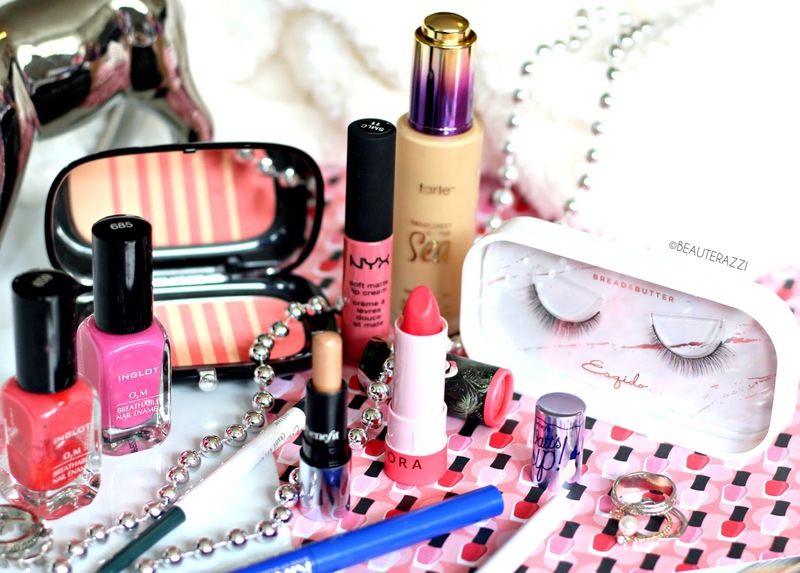 I love wearing cream blushes. But we all faced the problem in life when blending them becomes a tedious task. They rub away our foundation or give us clown cheeks or just don't blend smoothly. I didn't have high hopes from this when I purchased it, but the minute I applied my cream blush with it I knew I had made the right decision. It makes application of cream products effortless and also this brush is perfect for applying heavily pigmented powder blushes. With this in my vanity I have never felt the need to blend my eyeshadows with any other brush. 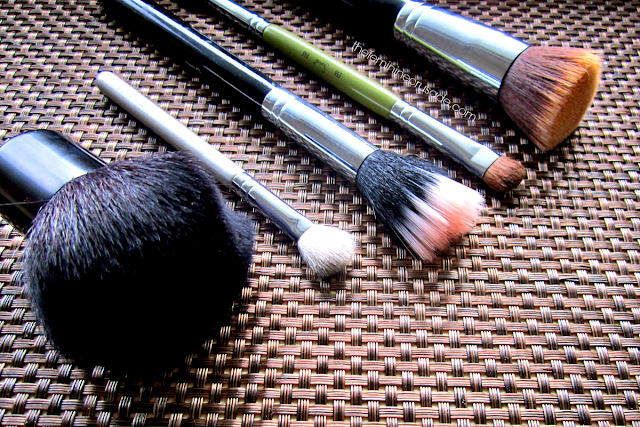 Like all other brushes it is super soft and blends eyeshadows beautifully. And the good thing is, in the Black Friday deal you get this brush free with an order of $30 or more. People don't talk about this baby much but I love it. It is for application of powder products, essentially the blushes or bronzers but I find it kind of dense for a soft finish. I have been using it for the entire time I have owned it, to dust loose powder all over my face. It does a pretty amazing job. Doesn't pack my face with too much powder yet sets everything well. This is one of my most abused eyeshadow brushes by Sigma which I got with my Flare Palette. This brush works as both an eyeshadow applicator and a smudger. It packs eyeshadows nicely on my eyes, gives me a defined crease when I want one and also helps me smudge eyeshadow on my lower lash line. What else is on your Sigma Wishlist this Black Friday/Cyber Monday?